This big old boy was found via radio-telemetry, to be captured and have his transmitter removed. Being from a place where we don’t even look for snakes out active on the surface unless it’s in the 70’s, finding this one fully exposed on a rock in the 50’s in light rain was amazing. It’s definitely a different feeling finding rattlesnakes while seeing your breath! 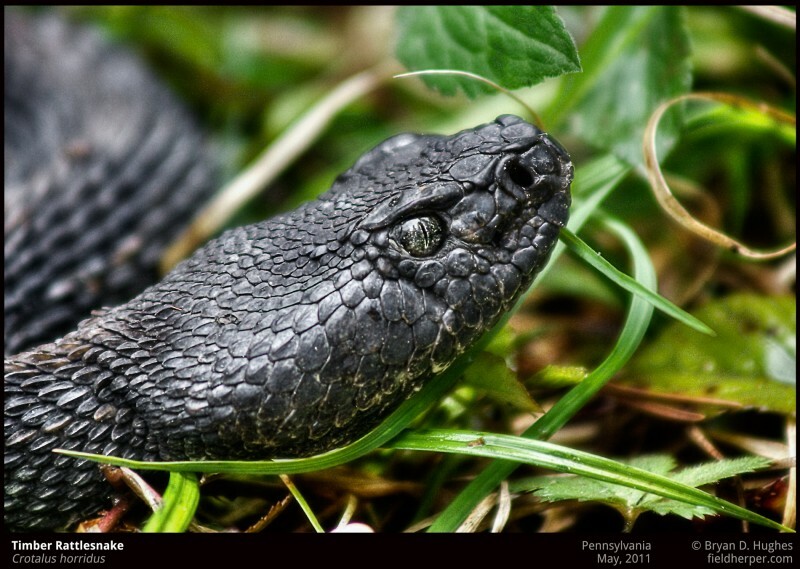 This entry was posted on Tuesday, August 12th, 2014 at 8:12 am	and is filed under Field Herping, Research, Snakes. You can follow any responses to this entry through the RSS 2.0 feed. You can leave a response, or trackback from your own site.